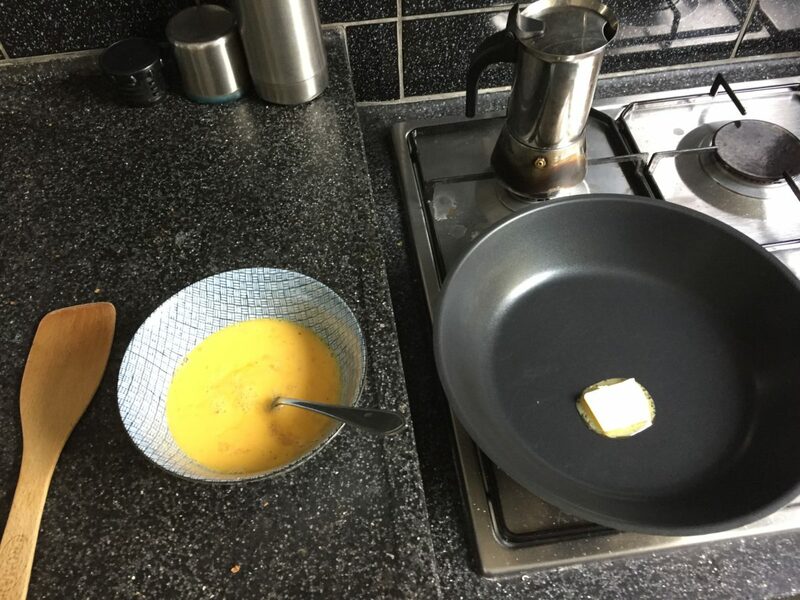 MAASTRICHT, July 21st 2017 – I’ve never been confident making an omelette – maybe too impatient, with the heat too high, or a not-very-good pan. Whatever the reason, my omelettes often resemble scrambled egg by the time they reach the plate. So I was a bit apprehensive when the ‘making clinical sense’ team (Anna Harris, Rachel Allison & Andra Wojcik) invited me to take part in their experiment, to help them understand the challenges of doing comparative fieldwork, in geographically separated sites, of people – medical students – learning complex skills. I was afraid my colleagues would see how hopeless I am at cooking eggs, even though I like to think I can cook other things reasonably well. 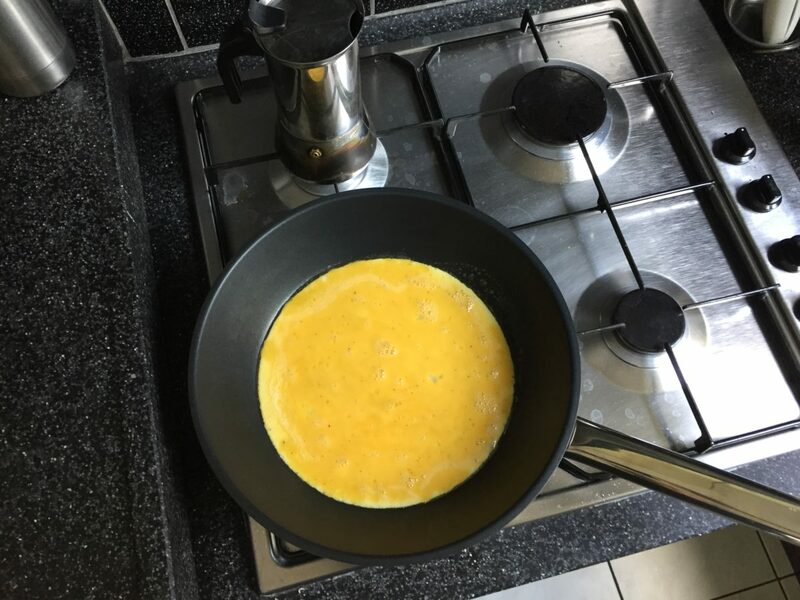 But I felt some responsibility to help them, and on a summer day it could be a fun way of interacting with colleagues in a different way, and I might finally learn to make an omelette properly. Because of other commitments, I was due to arrive somewhat later than other participants. Given my anxiety about publicly making a bad omelette, I was somewhat relieved to receive a message during the morning saying they had enough participants, and I did not need to attend, but of course was welcome to come along. I was keen to see how it was going, so I turned up after the other volunteers had made their omelettes and were already sitting down to a nice lunch. This part of the experiment involved an expert omelette maker (hereafter referred to as ‘chef’) describing to the volunteers how to do it (on other days, volunteers watched a video or read a recipe). But I had missed that as well. So during the debriefing, I asked one of the volunteers to repeat what she remembered being told by the chef, and how she had done it. On the basis of that second-hand description but first-hand experience, I attempted to make an omelette a few days later, in my own home, to be consumed by my partner and myself. 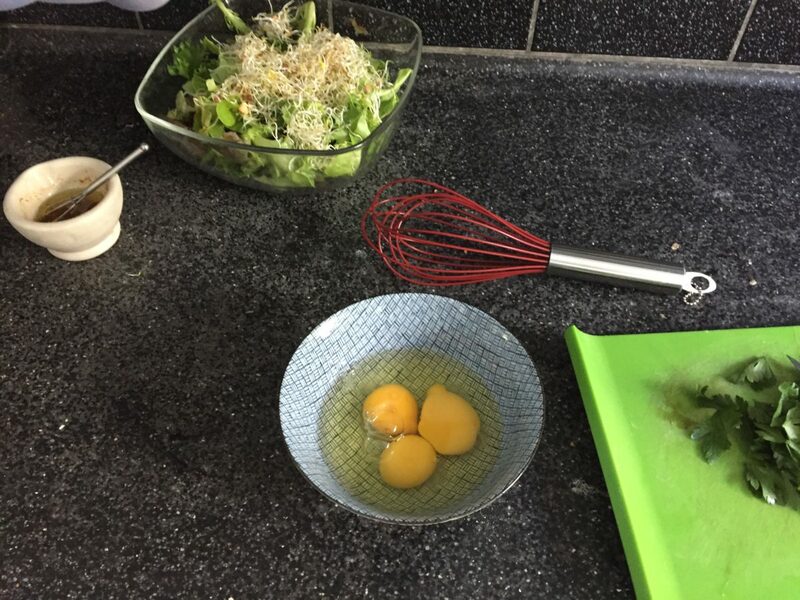 I gathered together the ingredients (see photos) – three eggs for the omelette, plus the ingredients for a potato salad and a green salad. I cracked the three eggs into a bowl, using my traditional method of banging them on the side of the bowl. Suddenly cracking them with a knife was an experiment too far. I beat the eggs, and added a little bit of salt and pepper at this stage. There had been some disagreement between the chef and the volunteer about when to add seasoning. We recently acquired a new frying pan which was a huge improvement on the old one, so I was already feeling more confident. I melted some butter in it, and poured the egg mixture into the pan. We have a gas hob, but I kept the gas very low. As the egg started to cook around the edges, I used our wooden spatula to gently move the egg towards the middle, repeating this until the egg was mostly cooked. I had read in the past that egg continues to cook, even after you remove it from the heat, so it’s best to stop a bit earlier than you think is necessary, otherwise it could end up too dry. 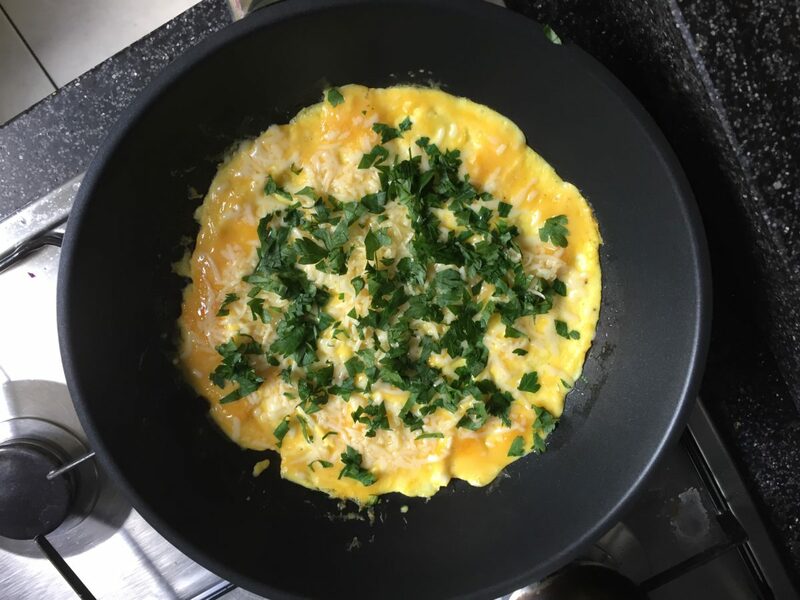 Plus, I was doing some experimenting of my own, by adding cheese and parsley after the omelette was mostly cooked, and putting the pan under the grill briefly to melt the cheese. To my great surprise, the resulting omelette was better than anything I had ever produced. I even managed to roll it up, which I first thought was a bit ostentatious. The resulting roll was cut in half, and divided between the two of us. We had a very tasty meal, I have overcome my omelette anxiety, and maybe we have learned that skills can be transferred in this way. Though of course I did have a lot of prior (bad) experience to build upon.